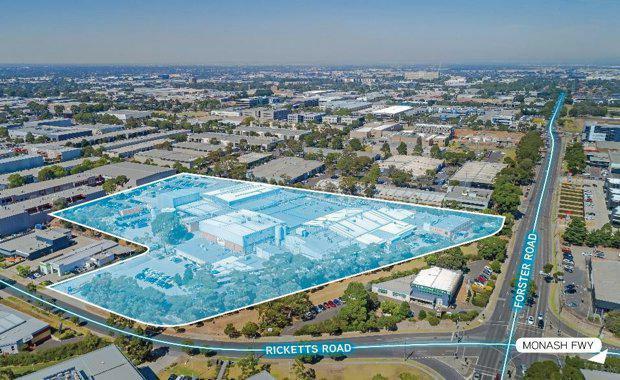 A 3.24-hectare site with 13,384 square metre gross building area at 4-8 Ricketts Road, Mount Waverley, represented the largest site to be offered for sale in the Monash precinct in recent times. Colliers International’s Justin Fried and Jonathan Mercuri have been appointed to the expressions of interest campaign closing May 25. “The property represents an exciting development opportunity positioned to cater for the pent-up demand for modern strata, high-tech industrial and commercial premises in the area,” Mr Fried said. Mr Fried said interest was expected from local owner occupiers and developers, due to its location in the “heart” of the Monash commercial precinct and just 300 metres from the Monash Freeway on-ramp. “We’re anticipating enquiry from owner-occupiers who want to remain in this location offering exception amenity and access, as well as developers looking to build hi-tech office/warehouses or strata offices,” he said. Mr Mercuri said there was an “insatiable” appetite among developers and owner-occupiers wanting to purchase substantial sites in the Monash precinct and particularly along the freeway. “The location is highly sought after based on its proximity to the M1 and Melbourne’s affluent bayside suburbs, which are home to many significant business owners,” he said. “Mount Waverley boasts the title of ‘Melbourne’s demographic centre’ for its strong blue- and white-collar workforce base. 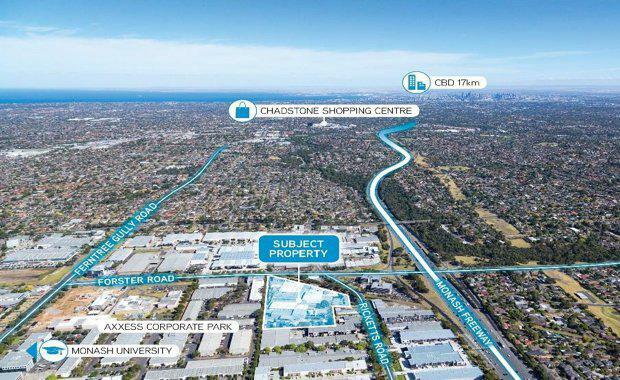 Mr Mercuri said record land values were being achieved for commercial and industrial land in the Monash precinct. “There are limited opportunities to purchase significant landholdings in this area,” he said. The fully refurbished offices and flexible industrial improvements, plus 249 car parks, offer versatility for a single occupier or could be divided to suit a range of tenants.